The Society of Women Engineers Collegiate Section at Iowa State University (ISU SWE) was founded over 40 years ago and currently has more than 200 members. 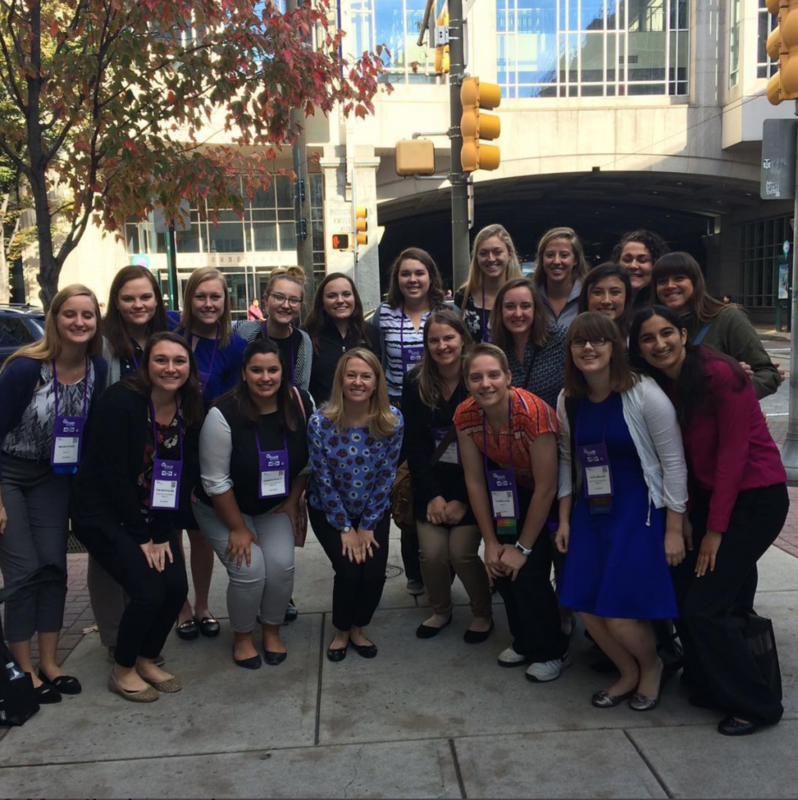 We belong to Region H, the biggest SWE region comprised of both professional and collegiate SWE sections in North Dakota, South Dakota, Minnesota, Iowa, Wisconsin, Michigan, Indiana, and parts of Illinois. As well as being part of the national professional organization, we are a student-run organization at Iowa State. We offer our members leadership experiences, great networking opportunities, and community involvement. Our organization’s cabinet and executive board is divided into 6 committees: Corporate Relations, Publicity, Outreach, Membership, Special Events, Fundraising, and SWE University. Corporate Relations allows SWE members to connect with companies and help bridge a network between industries and SWE members. They are also the primary point of contact for sponsorship for our events. Publicity helps spread the word about SWE through social media, flyers, and website design. Outreach helps inspire young kids to pursue fields in STEM by holding events catered to kids in: Preschool/Grade School, Middle School, High School, High School Senior Sleepover, and Girl Scouts. Membership helps recruit and maintain new members who support women in engineering. Special Events plans events to help members unwind! They plan events for members to volunteer together at community events, pair mentors/mentees together, boost relationships between new students, and more. Fundraising helps coordinate pizza sales and determine new ways to raise funds or keep alumni up-to-date on how to stay involved with the student chapter. SWE University plans an annual summer camp for high school girls. The camp allows girls to explore engineering opportunities, connect with professors and current students at the university, and explore campus and Ames. Come check us out for yourself! We look forward to meeting you!